What's up? This is Anthony Colbert a.k.a. Ant a.k.a. anthavjs. I am from New Orleans, La (504) aka Chocolate City...lol. I have always liked sneakers, but for the past year I have been collecting them. My favorite pair out of my collection are the Bin 13's, but my favorite Jordan is the blue and white 16's. I began collecting due to one of my best friends named Chavier. He has always collected sneakers and he was passionate about it, so he asked me to join in with him and start collecting as well. So that motivated me to be a sneakerhead. Now I am addicted to collecting sneakers and I have found other people that love sneakers just as much as I do. From this I am now with one of the best crews from the 504. Waaaaaaaaaaaaaaaaaaaaaaan!!!!!! This is CO aka BlackGrinch504 hailing from the one and only New Orleans, Louisiana. I’ve been into sneakers for over a decade. Shoes are more than just a foot covering to me…they show style, versatility, personality and charisma. I jumped off the porch back in the day with the White Cement IV’s. My next pair was the OG Aqua 8’s. During and shortly after high school, my interest level peaked to a new level. I’ve always loved shoes and had a passion for them because I view it as an art form. I like shoes of various styles, editions, and colors, however, my main focus is limited sets or exclusive joints. What's Good! I'm Kendall Baker a.k.a. Kaymoebee, aka Kaybee, aka Big "O". I have been collecting sneakers and all other types of shoes for about 14 years now. I have always had a love affair with shoes since my first pair of Air Jordans in 1989, which was the White Cement 4's. Over the years I have given away many pairs of shoes due to the fact my foot actually stopped growing when I was 19 years old. A good few pairs of my kicks were lost in Hurrcaine Katrina, but the majority of them were spared because they were upstairs. Of all of my shoes, my Holy Grail will have to be the Jordan Defining Moments Package from 2006. My favorite Jordan number would have to be the 9's, 12's and 18's. As of late, I have been deep into the LeBron line of shoes due to the outstanding quality of the shoe. This sneaker thing is actually a part of my life so even if I stop copping on the collector level, I still get things here and there. MJK23504 (Mr. Jordan King 23504) was born and raised in new Orleans MrJordanKing23504 first became a sneaker Head in 1988 when his big brother bought him a pair of original Air Jordan 3 cements. From then on he knew that sneakers were his passion. So sneaker collecting became not only a style, but a way of life. Over the years his collection grew and grew. In 2005 Hurricane Katrina decided she wanted his collection of kicks more then he did, which led him to start all over. Since 2005 he has rebuilt his sneaker collection to a massive 180+ pairs of Air Jordans, Nike SBs and a host of other Nike and Jordan brand player models. MJK vowed to replace his collection one shoe at a time. It's because of that vow he has done just that an accelerated rate by not only getting general releases but hard to get releases and quick strikes! 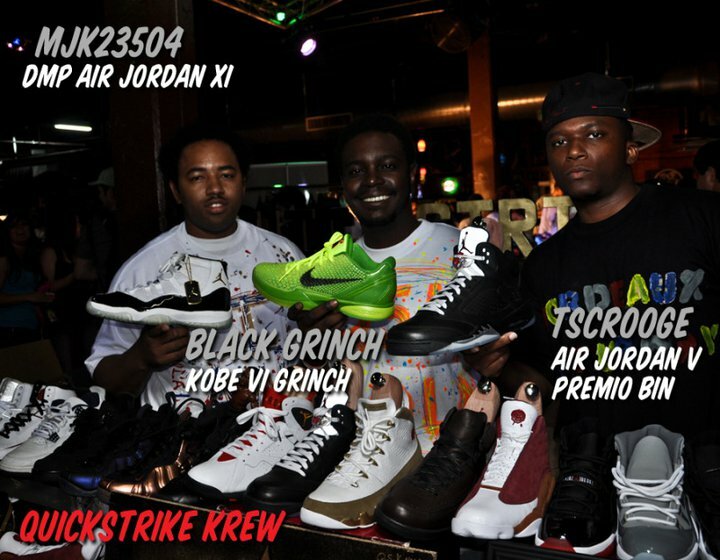 In 2010, MJK decided to start a more refined movement and bring some much needed awareness to the sneaker community from New Orleans and from there the Quick Strike Krew was born. Since then he has vowed to take this movement to the next level and show that the sneaker game is not dead, especially in New Orleans! Tscrooge is a humble family man and sneaker collector hailing from New Orleans, La. 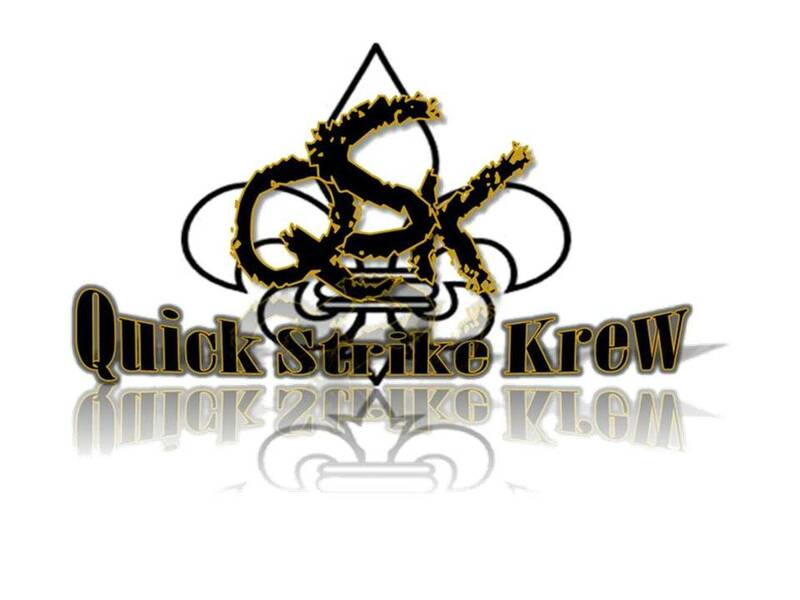 My goal is to help transform QSK to one of the most respected krews in the game, im well on road to my plan . I respect the game, and enjoy talking sneakers w/ other sneaker lovers. I'm loyal to the krew, and I will continue to strive to be the very best I can be!!!! Quickest Way to Piss Me Off: Be disrespectful, not return my phone call, or ask how much my collection is worth??? Favorite Sneaker Spot: Ebay, I rather be fucked over by someone I cant see!! Favorite Sneaker Show: QSK show......coming soon!! !